The SmartSTEP™ walk-behind mower drive system allows the smoothest engagement, better speed variability and better control and traction. Mow at your pace and get a professional-quality cut. The Mowers 21" SELF PROPELLED Push Mower by MTD Products at Furniture Fair - North Carolina in the Jacksonville, Greenville, Goldsboro, New Bern, Rocky Mount, Wilmington NC area. Product availability may vary. Contact us for the most current availability on this product. Furniture Fair carries the best values in the industry in lawn mowers! We carry MTD - COLUMBIA! 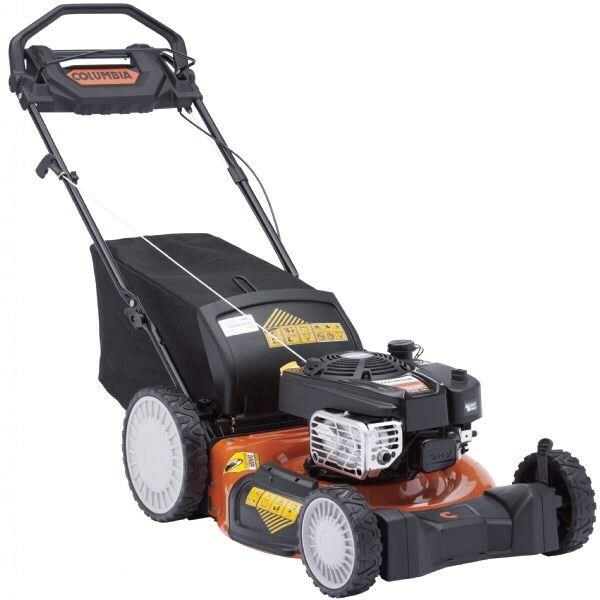 The Mowers collection is a great option if you are looking for Equipment in the Jacksonville, Greenville, Goldsboro, New Bern, Rocky Mount, Wilmington NC area. Browse other items in the Mowers collection from Furniture Fair - North Carolina in the Jacksonville, Greenville, Goldsboro, New Bern, Rocky Mount, Wilmington NC area.